Around The Classical Internet: March 30, 2012 : Deceptive Cadence Yiddish- and English-speaking mavericks, students too cool for middle school and much more: all the news that's fit to link. 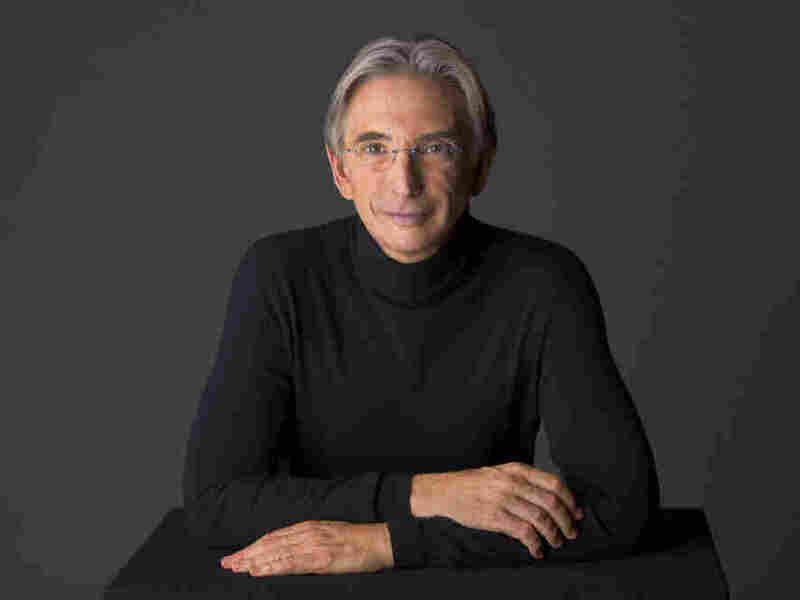 Conductor and composer Michael Tilson Thomas. This might be the coolest high school program ever: Face the Music, the new music project in New York City for students from grades 5 to 12. They're hardly hobbyists: "Last year Face the Music performed [Steve] Reich's Tehillim with Alarm Will Sound; this year Philip Glass's Glassworks is the centerpiece of its programming. Its expanding playlist also includes works by Nico Muhly, Missy Mazzoli, Angélica Negrón, Lev Zhurbin, JacobTV, Graham Fitkin, Osvaldo Golijov and Gérard Grisey, as well as oddities like Ligeti's Poème Symphonique for 100 metronomes (1962), a piece that involves winding up and starting the metronomes and letting them run down." How come no one's making a big deal of Debussy's 150th birthday anniversary this year (aside from the sheer bother of the word "sesquicentenary")? Perhaps we need to reconsider him from the ground up, suggests Tom Service: "Maybe the most important critical canard to start plucking, disembowelling and roasting is the whole Debussy-as-atmospheric-impressionist idée fixe. That comes from bad musicology, bad thinking, and bad performances." People are making a big deal about a newly discovered piece of music that might be by the 10-year-old Mozart. A four-minute "Allegro Molto" was found in an Austrian attic and was recently performed at Mozart's birthplace on his own piano. Awful: a 29-year-old Portland singer and choir director named Brian Tierney was found shot in his car Wednesday night on an Oregon interstate road; he was shot multiple times and remains in critical condition after reconstructive surgery. Married, with a young daughter, and a district winner of the Metropolitan Opera National Council Auditions, Tierney had been on his way home from work directing a church choir. Police are asking for the public's help in solving the case. in the future, this roundup might forgo stories about music and science. Not this week, as the Telegraph reports a new study that finds classical music can be ... relaxing! This week's revelation comes from a team of plastic surgeons in Oxford, England, who figured out that classical music helped surgical patients lower their anxiety levels and breathing rates. Did you, like me, start seeing Facebook and Google ads run by the Louisville Orchestra in their search for nonunion replacement musicians? ("Now auditioning all orchestra positions. $925/wk + benefits. Apply today!") Apparently they've upgraded from the Craiglist posts they were running before. Anyway, while they're trying to recruit, they've made another offer to their actual musicians — and, said their board president, "It's going to be very similar to the last offer." The musicians have since agreed to binding arbitration towards a new contract, but under several conditions. Meanwhile, in Philadelphia: Ongoing negotiations between the Kimmel Center and its largest tenant, the struggling Philadelphia Orchestra, mean that the Kimmel has yet to announce its calendar for the 2012-13 season, except for its popular Broadway series. "What's at stake, according to several sources who have been briefed on the talks, is the question of whether the Kimmel can continue as a full-fledged arts center with an artistically independent presenting arm, or whether it will be reduced to being a rental facility for resident companies while letting its halls on open nights to commercial entities such as Live Nation." Philadelphia Orchestra president Allison Vulgamore issued a sharp quote on the topic back in November during an interview with Philadelphia Magazine for an article depressingly titled "What If The Philadelphia Orchestra Can't Be Saved? ": "We can either have a world-class orchestra and a regional performing arts center, or a regional orchestra and a national performing arts center," Vulgamore said. "There isn't enough money for both. And I didn't come here to run a regional orchestra." All this needs to make way for a happier Philly story. It's about the 10-year reunion of a class of second graders whose teachers had them create their own opera — and the long-term impact the project has had. It was "a rare opportunity to a class of second graders, many from low-income neighborhoods and homes where English wasn't regularly spoken. That year, infused into every part of the students' curriculum, was the creation of an opera. Their teachers describe seeing striking changes in them. Shy students began to speak more. Students who hated writing began filling pages on end with their thoughts. Students who were ambivalent about school suddenly began showing up every day."